I don’t know if any of you have been able to enjoy some warming rays recently but, here in London, the weather’s been horrible. 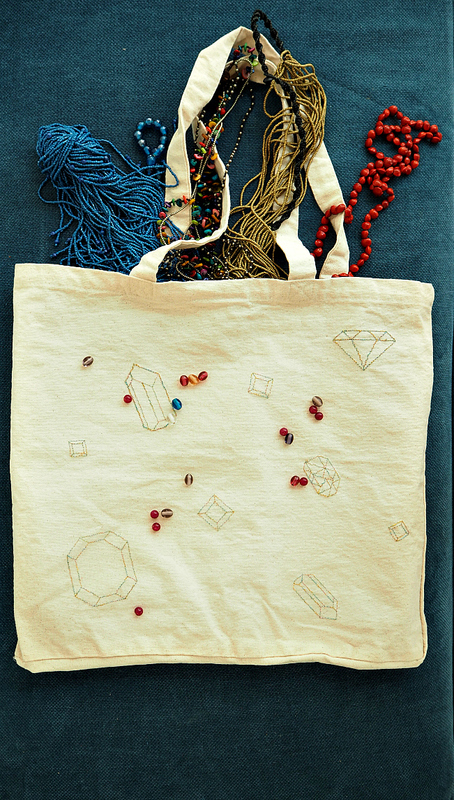 So, I decided to make hay while the sun wasn’t shining by wrapping up my gemstone theme with this tote bag DIY. It might not bring the sun back out but, at least, it’ll give you something to do the next time you’re stuck at home in the rain. The instructions for my glittery gemstone bag are pretty straightforward as long as you have the right equipment. After that, it should only take a couple of hours before you can proudly walk around with your handmade tote bag. 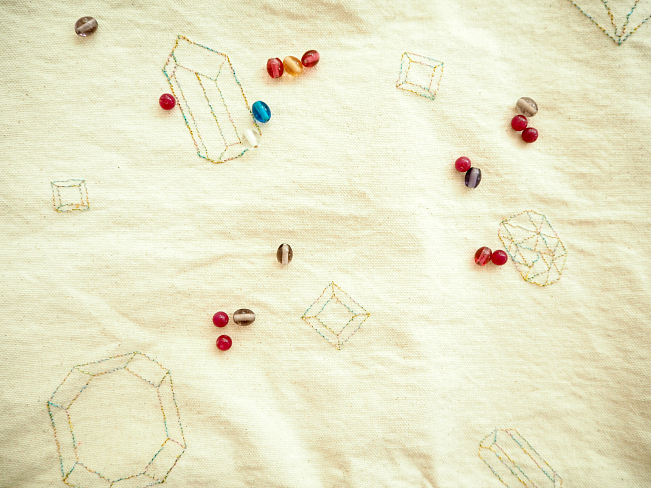 All you need to do is sew gemstone shapes onto your bag with a needle and some thread of your choice (I used glittery thread but it turned out quite difficult to embroider with, so I wouldn’t recommend it). To achieve great results, you’ll need water soluble canvas (which you can easily find on the internet) and a wooden embroidery hoop. 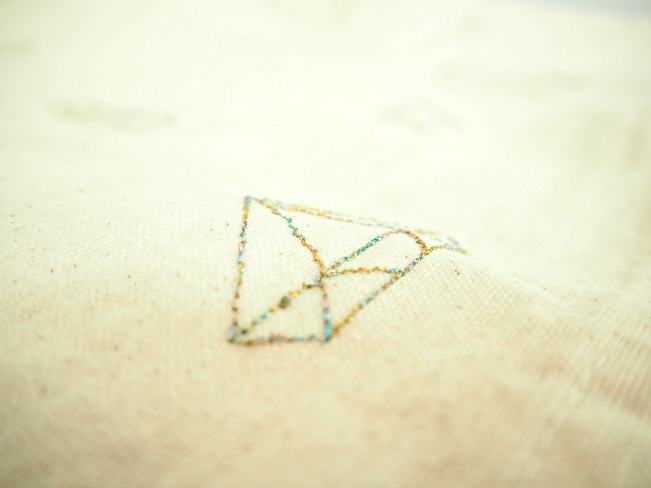 Place a chosen area of your fabric in the hoop and loosely secure the soluble canvas onto the canvas with some thread before sewing your shape. I cut the soluble canvas up into the same number of pieces as I wanted to have shapes (nine in this instance).